This sheet allows you to quickly change into a new outfit. To activate, raise the Sheet of Costume Change in front of your body and drop it as a bonus action. As the sheet falls, you will find yourself in a different outfit. Your clothes will reappear eight hours after the change happens or when you raise the sheet and drop it again. The sheet can be used once every 24 hours. 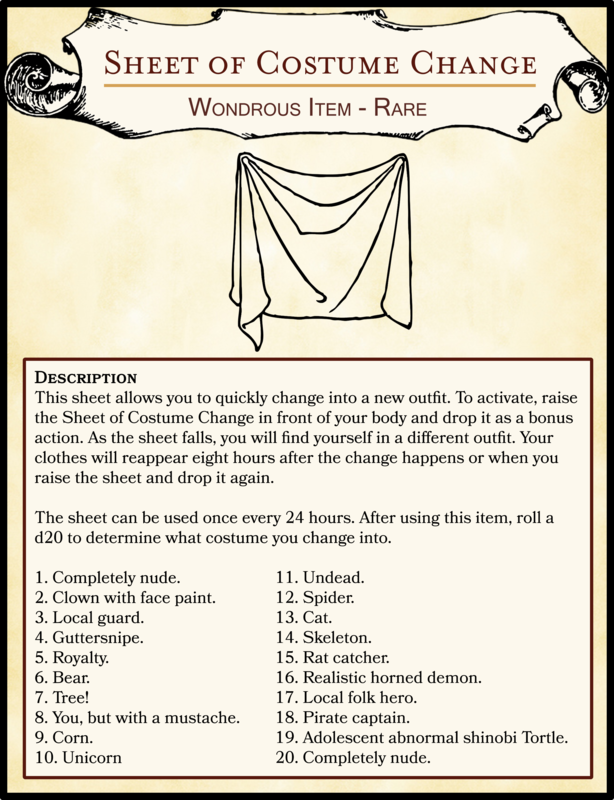 After using this item, roll a d20 to determine what costume you change into. You, but with a mustache.